This awe-inspiring journey in classic Big Red Jeeps (CJ-8 Jeep Scramblers) takes you deep into the heart of the San Andreas Fault. Witness the tremendous forces of nature that have created amazing steep walled canyons and some of the most twisted and tormented landscapes on earth. 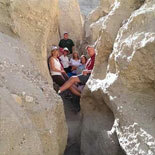 Learn about geology, earthquakes, and the desert's history, plants, and animals as your jeep winds its way through the labyrinth of geological cuts and canyons of the San Andreas Fault Zone. 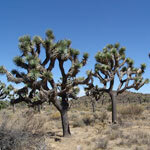 Explore a lush natural palm oasis where you will see water seeping up through the underground aquifer as your expert naturalist guide describes how the Cahuilla Indians used the desert's plants for food, medicine, and shelter. Learn about the life and culture of the Cahuilla Indians lived as you explore our replica Cahuilla Village, situated on a historic Indian site. Experience the awesome power of nature as you explore narrow slot canyons created by the collision of the Pacific and North American plates. Explore an Old Mining Camp which is filled with antique mining equipment and displays. You will also tour a gold mine exhibit and have the opportunity to pan for gold. This tour includes plenty of time for exploration and can be customized according to your particular interests and abilities. A moderate to challenging hike can also be included, if desired. 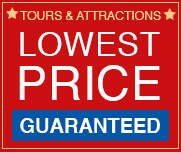 Make your reservations, get your eTickets, sit back and and enjoy the ride! 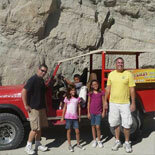 The spectacular San Andreas Fault Jeep Eco-tour will take you places you may never imagined existed. 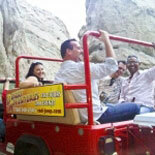 Whether you're seeking rugged adventure, Native American history and culture, Pioneer History, nature, geology, or panoramic vistas, the San Andreas Fault Jeep Eco-Tour is the right tour for you! 78 375 Varner Rd. ( In front of CoCo's Restaurant), Palm Dessert 92211. 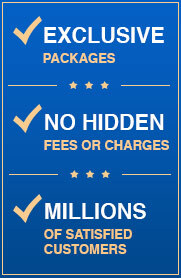 Complimentary hotel pickup is also available for guest staying in Palm Desert, Indian Wells, La Quinta, or Indio. Call Customer Service (the number will be on your eTicket. At least 48 hours advance reservations are suggested. + Wear closed-toe shoes with rubber soles (such as tennis shoes or hiking boots). Sandals and shoes with high heels are not recommended. + Wear comfortable clothing - we recommend you dress in layers as desert temperatures can change quickly. In the cooler months (Nov through March), we suggest you bring a light sweater or jacket. + Bring a hat and sunglasses and apply sunscreen before the tour. + Don't forget your camera or video camera and make sure your batteries are charged up and you have plenty of film. + Guests with neck, back, or serious injuries and women who are pregnant are advised to consult with their doctor before taking any Jeep Tour.